Mr Al Mufti qualified from The Queen Victoria University (UK) with the degrees MB, BCh, BAO. He became a fellow of both the Royal Colleges of Surgeons of Edinburgh and England (FRCS). Exceptionally, he carried out two surgical research projects for two higher university degrees: The Master of Surgery (MSc) at University College London (UCL), University of London, and for the Doctorate of Medicine (MD) at the Queen’s University of Belfast. He passed the Higher Surgical Inter-collegiate speciality examination in 1997 to obtain the CCST (Certificate of completion of Surgical Specialist Training), UK. His basic surgical training was in Bristol and the South West of England, working at the Bristol Royal Infirmary, the Royal United Bath Hospitals and the Royal Devon & Exeter hospitals. His higher surgical training was a career registrar at the University College London, Middlesex and Essex Hospitals, with a National Training Number at the London Deanery as the first group of Career Registrars in the UK. His Senior Specialist training in General, Oncological, Breast & Oncoplastic Reconstruction, Endocrine, Colorectal, Gastro-intestinal & Trauma Surgery in London, as a Senior Surgical Registrar and Lecturer in Surgery at the Royal Free hospital, Barts and Royal London Hospitals and at University College London Hospitals. Mr Al Mufti was a Senior Lecturer in Surgery at the University College London Medical School and Consultant Surgeon at University College London and Whittington Hospitals. In addition, he was the acting Professor of surgery at the Highgate Campus of University College London Medical School, and was elected as the best teacher at the UCL Medical School for two consecutive years. 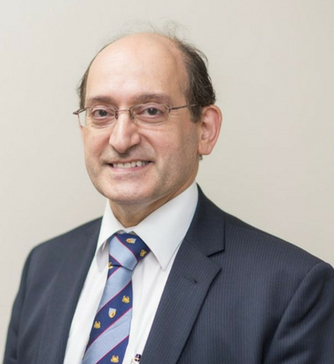 Mr Al Mufti also worked as an NHS consultant in general & trauma surgery at St Bartholomew’s and the Royal London Hospitals, with specialisation in Breast, Endocrine, Oncological & Reconstructive surgery. Currently, Mr Al Mufti is a senior NHS consultant surgeon at St Mary’s & Imperial College London Hospitals, and Honorary Senior Lecturer at Imperial College London Medical School. He treats symptomatic breast patients as well as National Screening patients at the West of London Breast Screening Centre. Mr Al Mufti is a specialist in Breast (benign & malignant), Endocrine, Oncological & Reconstructive surgery. His interests are in all aspects of breast surgery, including breast augmentation (particularly for congenital anomalies and asymmetry), Breast Reduction Mastopexy and therapeutic mammoplasty, and in management of Gynaecomastia. He is also a specialist Thyroid and Parathyroid Endocrine surgeon, particularly in dealing with retrosternal goitres (performing more than 500 Thyroidectomies). He is an expert specialist surgeon in breast reconstruction with Latissmus Dorsi flaps (more than 300 LD flaps), and over 2000 breast implants reconstructions, including the use of ADM. He is also an expert surgeon for insertion of Portacath lines for Chemotherapy cancer patients. He has been involved with a lot of research projects and has over 100 various publications in Breast surgery, gynaecomastia, and cancer research & management, in addition to co-author of books and many chapters in textbooks. Mr Al Mufti has served as an elected chairman of the West & North London Breast Cancer Network. He has also served as an elected member at the National Executive Committee of BASO (the British Association of Surgical Oncology). He has been a surgical examiner for 19 years at the University of London (Imperial College London, University College London, Queen Mary’s Medical schools). He is currently an elected member of the Scientific Committee of Europa Donna Breast Cancer Organisation (UK division), and was a member of Thames Cancer Registry Advisory Board. He is also a fellow of the Association of Surgeons of Greats Britain & Ireland, the Association of Breast Surgery, The British Association of Endocrine Surgeons, The Association of Coloproctology of Great Britain & Ireland, the Royal Society of Medicine (section of Surgery & Oncology), and the European Society of Surgical Oncology (ESSO). He has also served as a Royal College Tutor for the Royal College of Surgeons of England, and a surgical tutor at the Whipps Cross Higher Surgical FRCS Course. He speaks two languages fluently; English & Arabic.